The collections of lace are showcased in the mid-18th century wood-panelled drawing room, the last surviving legacy of the bishops’ apartments. Introduced to Bayeux in the 17th century at the initiative of the bishop, hand-made lace reached its peak in the 19th century. The speciality of Bayeux lace-making was bobbin lace. 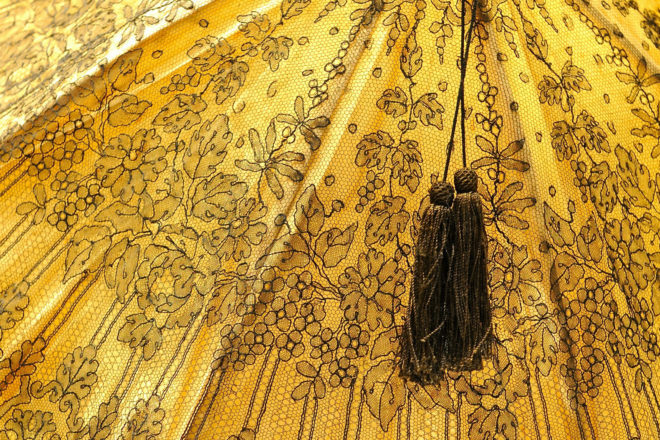 At the MAHB the most sumptuous pieces are shown as though in a haute couture showroom, while the technical aspects of this textile art form are presented in the ambience of a lace-making workshop. After the Revolution and encouraged by the merchants, lace-making in Bayeux reached an industrial scale. By 1830 there were about 20 businesses in the area employing almost 15,000 lace-makers. At this time the town was one of the biggest lace-making centres in Europe. The Lefébure factory left its mark on the town’s lace-making past. In 1829 Auguste-René Lefébure bought Madame Carpentier’s lace workshop (which produced lace for Her Royal Highness the wife of the crown prince). He also opened a shop in Paris. Maison Lefébure creations became destined more and more for the luxury market, and by the beginning of the Second Empire sales were thriving, especially to Spain and South America. The hand-made lace industry collapsed rapidly from 1870 with the development of mechanical production, but the tradition was kept alive throughout the 20th century thanks to the Maison Lefébure’s lace-making School. Bayeux lace, in black or white silk, is famous for its quality and variety. Among the finest pieces on display in the museum are items of extraordinarily delicate black silk lace called “Chantilly”, and of unbleached silk called “Caen blonde” with shimmering effects. 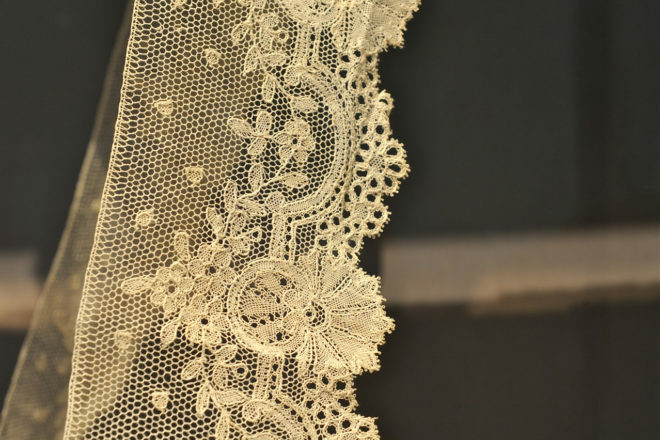 Although bobbin lace was usually used to produce frills and edgings to decorate women’s clothes, it could also be used to make complete ornamental pieces such as head scarves, mantillas or stoles, or to adorn accessories such as parasols or fans. The thousands of pieces of lace produced in Bayeux fall into three main families: “Bayeux” in white cotton or linen, “Chantilly” in black silk, and finally “Blonde” in unbleached silk. The most typical figurative designs in “Chantilly” are primarily floral patterns with subtle shading effects.